Scottish pop/new-wave post-punk band that formed in 1979 and split in 1983. Lead singer Clare Grogan continues to perform under the group name. 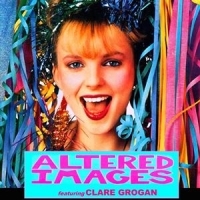 During the '80s, Altered Images chalked up several hits including "Happy Birthday", "I Could Be Happy", "See Those Eyes", "Don't Talk to me About Love" and "Bring Me Closer". Original member Gerard "Caesar" McNulty left in 1979 to form The Wake.